Rawson Stockyard :: (03) 5165 3111 Your browser does not support the audio element. Are you interested in discovering somewhere new & refreshing for your next day trip, family do, birthday bash, engagement celebration, wedding reception, social/ sporting club function, end of year company function, or are you simply searching for a congenial, laid back setting where you can smash down a quality feed and a few jars in good company? If so, congrats... you have just found it. 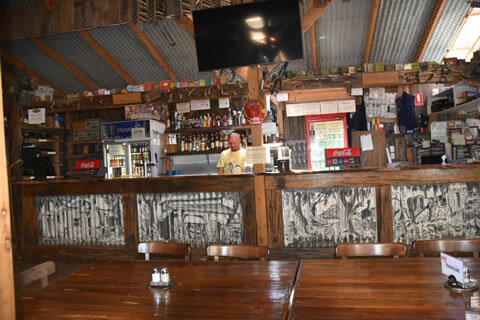 Rawson Stockyard is a family friendly establishment so conveniently placed for the Latrobe Valley population in the Mountain rivers region of Gippsland. Surrounded by forest, a leisurely 30 minute drive North of Traralgon, Morwell & Moe; “ The Rawson Stockyard is a well known barn style venue that enjoys a genuine family atmosphere. It incorporates a unique Aussie ambience in its’ internal corrugated iron walls and ceiling. Surrounded by exposed Blackwood, Yellow box & Cyprus timber features melded to chicken & barbed wire, you will find yourself dissolving effortlessly into the Stockyards charming environment. 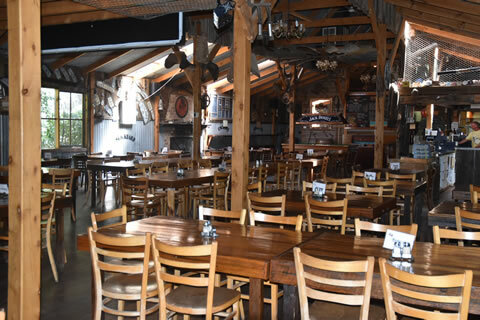 With the capacity to seat 130 plus people inside with seating capacity for a further 50 plus under our marquee the whole Stockyard experience makes for the perfect choice when considering your next function. The Stockyard's 2018 live music program to be advised. In House Music will play on selected Friday & Saturday nights for Christmas Parties from December 1st subject to confirmation.